According to Ahwazi activists quoted to Ahwazi Centre for Human Rights (ACHR) that Mr. Hadi Marwani (Halaf), an Ahwazi Arab young from the Hamidiyeh city, was arrested by the Iranian intelligence service and transferred to an unknown location on Friday the 8thof March 2019. Mr. Hadi Marwani, 29, married, is a father of a child and living in “Bonyad Shahid” district of Hamidiyeh city. Despite of the numerous followings up and of the detainee’s family to the Hamidiyeh security centre, until the moment of writing this report, no detailed information was provided on the reason for his detention, whereabouts and his situation. 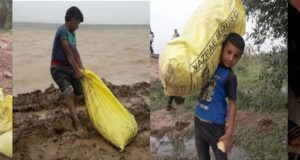 In similar context, Ali Kaab Omeir, 17, is a student in last year of high school and resident of “Kian Abad” district of Ahwaz capital. He was arrested by agents of the Intelligence Agency from his home on February 8, 2017. 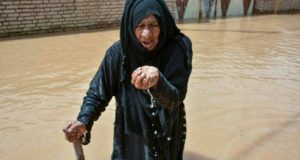 He has been active in social networks in supporting protest against Karun River water diversion and air pollution all over Al-Ahwaz, and has also participated in several popular gatherings, including the formation of human chains in protest of Karun River water transfer. The Iranian intelligence agent threatened his father to arrest for his follow up to find his son’s where about. According to his father, the intelligence officers even broke Ali Kaab Omeir’s left hand during the arrest. They searched the whole house, seized computers, and Ali’s mobile phones and then they take Ali with them. 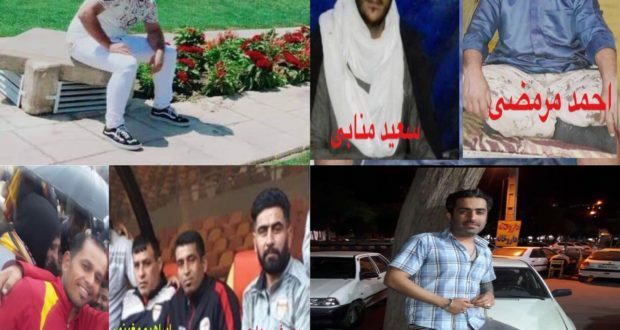 Also the Iranian intelligence service has arrested five Ahwazi football fans without prior notice on Wednesday the 13thof March 2019. Despite the wide following up by the detainee’s families to the Iranian official departments, all attempts were unsuccessful up to writing of this report. from Sheyban Prison to the Intelligence Detention Centre on Monday the 11thof March 2019. The ACHR has recognised the detainees names as Ahmad Maramazi and Saeed Manabí and there is no information regards their whereabouts and the reason for their transfer so far. Ahmad Maramazi, 32, married, had two children and was arrested by the intelligence agency on February 9, 2019, in the city of Hamidiyeh. 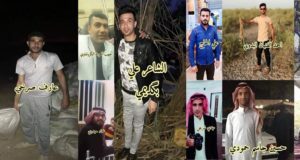 Saeed Manabí, married, 31, from Hamidiyeh city has been arrested by the Iranian intelligence service along with a number of Ahwazi citizens on Friday the 8thof February 2019.